Or are you a professional looking to expand your skill set? If so, you understand how important adaptability is in the business world. Keeping up with changing technologies and evolving business practices is imperative for your success. Be it managing a small business or climbing up that corporate ladder. Understanding and utilizing business technology solutions on the market today is critical in pushing you or your company to effectively staying ahead of the many changing trends. You don’t want to be left behind. Losing ground in the business world effectively ruins your business and prospects. We don’t want that for you. We want you to succeed. We want you and your small business to grow. To continue to grow is vital for you and your small business. Learning and understanding business technology software is one method for continual growth. One software, utilized by many business professionals is QuickBooks. 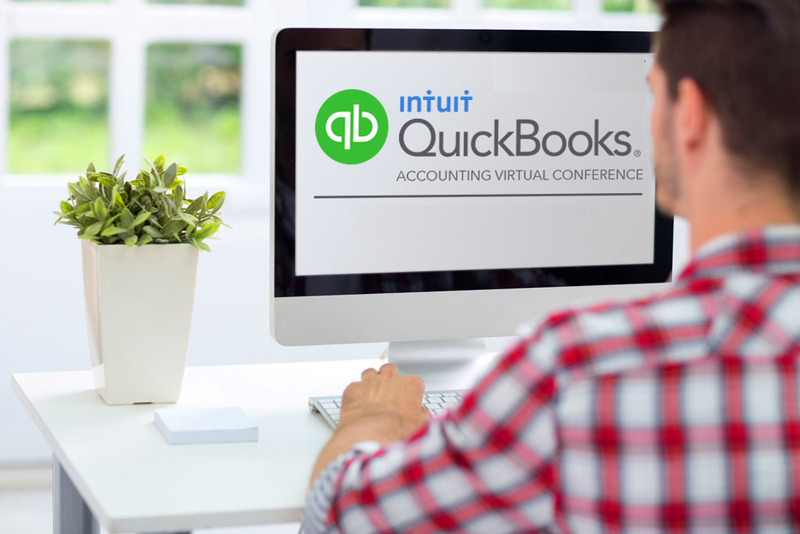 ​​QuickBooks, created by Intuit Inc, is an accounting software solution designed to manage payroll, inventory, sales and any other needs of a small business. The program allows for quick and easy applications that provide you or your business with the needed tools to remain ahead of the curve. Implementing QuickBooks into your business practices or skill set is a great way to adapt to the changing market. Here are the top five QuickBooks classes that provide you with in-depth instruction on how to use QuickBooks in your business or your professional life. We base our rankings on a five-star ranking system. We gathered information on each class and focused on the affordability, extensiveness of teaching material, customer reviews, and the expertise of each instructor. We want to help you find the best class for your time and your budget. Each class ranges in price from $159 to $549 for the more intense training courses. We highlighted classes that are offered online and live depending on what type of learner you may be. We understand that some people prefer learning a new topic with a live instructor in the room while others enjoy learning from watching tutorial videos online. Each class offers an essential overview of how to incorporate QuickBooks into your business and your professional life. Learnbookkeepingtoday is a website created by AJ Stockwell. AJ Stockwell is a Certified Public Accountant and a Certified QuickBooks ProAdvisor. On the site, he shares his background and years of expertise working as an account as well as a consultant for QuickBooks in major corporations. His class promises that not only will you learn how QuickBooks work, but how to fully incorporate every feature in your small or medium business. AJ Stockwell uses his years of experience to design a course that helps anyone understand QuickBooks. The course uses training videos as step-by-step guides to learning how to incorporate the software into your business life easier. There are no time constraints either. The course is open for as long as you need it and will remain open even after you have finished the course. The information is easily accessed through their course login page. Reviewers rate the flexibility of this program very high, saying that they enjoy not being held captive by time constraints. After you finish the QuickBooks program, you will receive a certification of completion. Many reviewers share that they were surprised at how exciting, engaging, and affordable the program is. 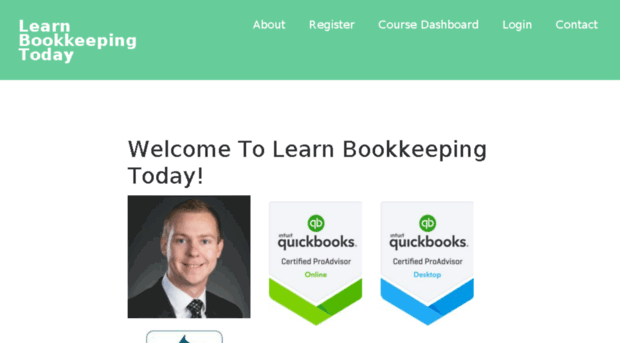 If you are looking for a flexible, online course taught by a Certified QuickBooks Pro Advisor than this class is the right one for you. Customers share that the training is in-depth and even after the program is completed, AJ Stockwell remains available to answer any of your questions. 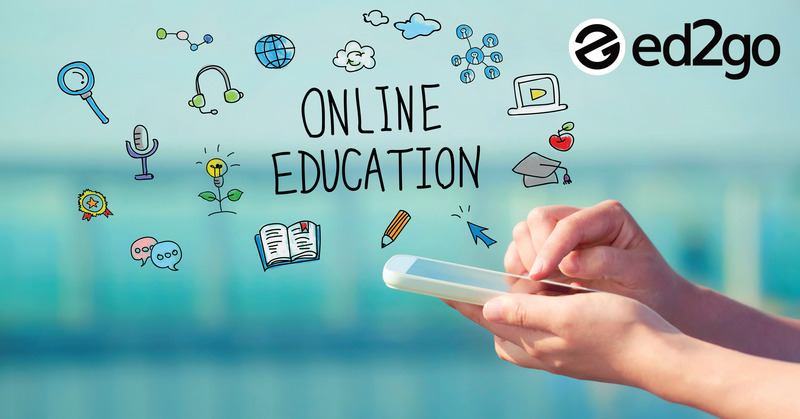 Ed2Go is an accredited online continuing education platform. Ed2Go offers classes for adult learners a lot of the same courses offered at other brick and mortar universities. Ed2Go runs much like an online university except they focus their classes towards professionals looking to garner a variety of business skills. The Introduction to QuickBooks Class is an instructor-led program which details how you can utilize QuickBooks in your small or mid-sized company. The program includes tutorials that outline how you can use the charting applications of QuickBooks to handle all of your business's financial needs. The class lasts six weeks with two lessons each week. If you have a lot of time to commit to learning QuickBooks, this is a wonderful option. The class allows the student to work through the course material at their own pace. The program promises that after taking the course, you will have a firm understanding of how to incorporate the many features into your business skill set. Ed2go is an accredited institution that boasts over two thousand expert instructors on their site. They find instructors from colleges and use their information to create extensive courses. The Introduction to QuickBooks class is no exception. If you are looking for an online program that won’t break the back, then this is an excellent option for you. The course price is $149. Lynda, created in 1995, is an online continuing education service that provides individuals with the ability to gain knowledge in a variety of areas. The platform, built initially for animation and video design, started offering a more extensive array of classes focusing on everything from literature, business, and graphic design. In May 2015, the professional networking site LinkedIn bought Lynda. Now the company focuses on training business professionals and their businesses in everything from resume design, job interview techniques, and training courses for business software. Each instructor is a verified expert in their field. Instructors use their years of expertise and education to create cohesive and easy to follow lesson plans. Instructors remain active in the learning process, so they are there to guide you through each class. Lynda offers programs in QuickBooks ranging from beginner to expert. Depending on what you want to learn about QuickBooks, Lynda offers a course to help you through. One of the most popular classes, QuickBooks Pro 2018 Essential Training, outlines all the essential features of the program and how you can incorporate that into your business. Classes for Lynda are short (usually from 2 hours to 5 hours), so you can get the information you need fast. Customers enjoy the quick, easy to follow tutorials and share how they love gaining knowledge in one afternoon. The courses are affordable as well. Lynda offers either a monthly or annual subscription. Monthly plans start at $29.99 per month and annually priced at $24.99. If you are looking for a fast and simple tutorial on using QuickBooks with trained professionals helping you along the way, Lynda is an excellent option for you or your business. Lynda offers a wide array of classes for any small business or business professional. QuickBooks Pro 2018 Essential Training encapsulates all the necessary information you need to incorporate QuickBooks into your business adequately. For those looking for a quick, budget-friendly course, QuickBooks Pro 2018 Essential Training is the right choice. Udemy.com is an online education platform used to educate business professionals. The website collects in-depth learning materials from experts in their field. The content is created especially for an adult, online learner. Once a class is bought, the information remains open and searchable forever. Students can easily and quickly get in touch with each instructor and get their questions answered fast. Udemy courses are not accredited like other continuing education platforms but do offer guidance to those looking to strengthen their work skills. The difference between this website and many others is that the courses are created by outside instructors, professionals in their field. Udemy employs over 2,000 instructors from various areas to help keep their content updated and fresh. 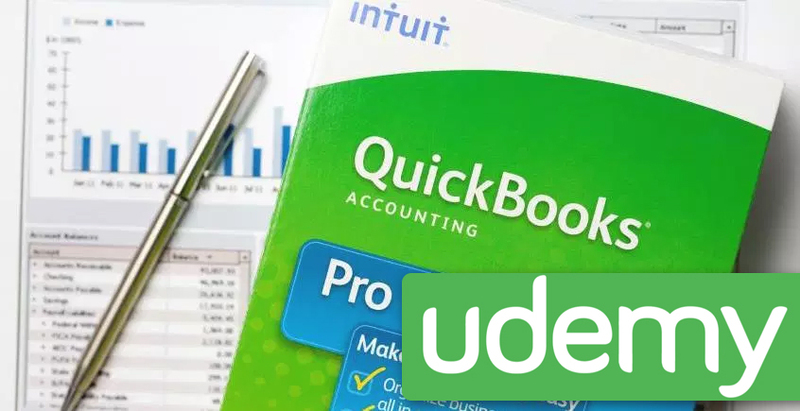 Udemy offers the Ultimate QuickBooks Pro Training Bundle which teaches you how to incorporate QuickBooks into your business or your skill set. The bundle program contains six courses and over three hundred and fifty tutorial videos to help you better understand the software. The Training Bundle program highlights the essential features of QuickBooks to strengthen and manage the finances of your business. Usually, the program costs around $199, but Udemy is offering a limited time offer of only $9.99. If you are looking for a low priced, in-depth guide to QuickBooks than this course would be an excellent choice. Udemy, even though the website is not accredited, still contains a lot of practical courses to learn QuickBooks. The best option is the Ultimate QuickBooks Pro Training Bundle which includes six classes that range from the basics of QuickBooks to the more advanced features. Intuit Inc, knows just how robust their program can be for your company or business. The program, ​sponsored by Intuit, focuses their classes on frequently asked questions about how to use their program. The classes are either live or online. The class offers the opportunity to pick a class that works best for your time limitations. The lessons last two days and instruct students on how to use the program and include tips and tricks to become masters at QuickBooks. The first day of training highlights how to set up QuickBooks for your company, everyday transactions (invoices, receipts, payments), special transactions, and tips and tricks that can help streamline each process. The instructor offers a question and answers time where each student can ask any questions for clarification of the process. The second day of training highlights how to set up and pay employees, working with reports, advanced features, and tips and tricks which make the process a little easier to navigate. And like the first day, the second day ends with a question and answer time. The program offers a clear, concise syllabus which outlines everything that will be discussed over the two days. Students are given two QuickBooks manuals that are handy when the class is over. The program costs $549 to attend which is a small investment for your company. Customers share that it is worth the price because each student is given hands-on, instructor-led classes that make it easier for people to understand how to use QuickBooks. And after you finish the course, you will receive a certificate of completion. Classes are offered all over the United States, so you can easily find a location by searching on their website. Or if you don’t want to leave the comfort of your home, Intuit offers the same two-day programs online. Out of all of the classes in this list, the one offered by Intuit is the most extensive course. Certified QuickBooks Pro Advisors lead each class, so you know you are getting your monies worth in the class. The only downside is the course does take two full days of training, but after those two days, the program promises that you will be a master at QuickBooks. We’ve searched through many QuickBooks classes to find the one right for you. The options listed above highlight what each class can offer you. If you are looking for an online QuickBooks class that won’t break the bank, use courses offered by Udemy or Lynda. If you are looking for a hands-on, live training, choose Intuit’s QuickBooks Training course. The price tag is heftier than the others, but what you are gaining is a strong understanding of QuickBooks and it’s multitude of features. The business world evolves and so should you. Keeping up with trends and business software is an excellent way to keep your head afloat. Is a Food Truck the Right Business for You?